Devastated. Outraged. No words can describe how upset and angry I am tonight. Last night, we went to The Mint Room for Claire’s Dad’s birthday. The Mint Room is a curry restaurant in Bath that I have often wanted to go to, but have never been given the opportunity. From the outside, it looks posh, expensive and nice, and inside was pretty much all of those things. 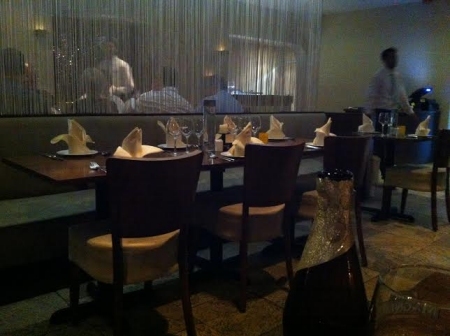 Whenever I visit a new curry house, I like to try my favourite Indian dish, the Chicken Tikka Masala. I like chicken, I like cream and I like the unhealthy looking bright red food colouring they always put in, making it look like bloody offal. Sadly, I couldn’t find any Tikka Masala on the menu, so I went for another dish that I had heard of and could pronounce – Chicken Bhuna. We also ordered starters. I went for a vegetable samosa, although felt a little upset when I noticed rabbit was available on the menu. Eating such a cute animal should be illegal and right up there with selling human flesh. Needless to say, I didn’t order the bunny. My samosa did arrive, with something I wasn’t expecting. No, not a rabbit ear. Alongside my samosa was two more! That’s right. My starter was three full-sized and very lush samosas. I was impressed and enjoyed them all, especially with the brown spicy sauce they had been dressed with. While waiting for the main to arrive, a waiter approached our table and took the cider I was drinking. Most alarmed, I looked at him, questioning why my drink had been stolen. He went on to ask my age, much to the amusement of Claire’s Mum, who pointed out that I had long since celebrated my 18th birthday. He was still to be convinced, presumably confused by my young and youthful looks. Remembering a scene from The Inbetweeners, I even started to reason with the waiter, using a law quoted by Will to a barman, that it is legal for a 16 year old to consume alcohol if accompanied by a meal. Looking back, I should have probably just tried to convince him I was legally old enough to drink cider as a fully grown man, and not try to get away with being 16 years old. Either out of boredom, or just common sense, he eventually gave me back my cider and went back to serving other diners. On the table opposite sat an American. Now I don’t wish to be stereotypical, but this man was “very American”. Anyone who has seen the Waldorf Salad episode of Fawlty Towers will understand what I mean by that term. He sat at his table, alone, before getting out his mobile, or cell-phone as he would call it, and making a telephone call not only loud enough for everyone in the restaurant to hear, but all the customers in Sainsbury’s across the road. After his conversation, he began to (loudly) explain to the waiter how he had been stood up by two colleagues (I have no idea why), but he would still like to eat. I don’t know what he ordered, as my food had arrived at that point. I assume it was Root Beer and Pumpkin Pie. My meal was really well done. Really, really well done. However, I made a little mistake in my choice of dish. I normally go for a more creamy curry, and the Bhuna had more of an onion/chutney sauce. I managed most of it though, impressive for me considering I had just consumed three large samosas. 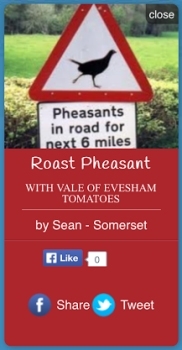 Alas, the flavours got the better of me and I was forced to retire. When I do return, and I certainly will, I’ll ask for a more creamy dish… and remember to bring ID. I have some strange followers on Twitter. Mostly Leeds fans. 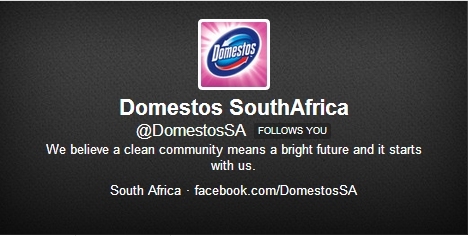 However, I got perhaps the most random follower yesterday – Domestos South Africa. I don’t do much cleaning and I have not visited Africa; although if I ever do visit the country and make a mess, I’ll ensure I use Domestos. 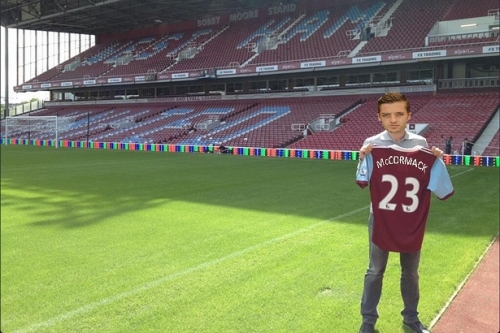 Sam at work has been winding me up all week, constantly insisting that Leeds United’s only decent player, Ross McCormack, will be sold to West Ham. I have always rubbished his taunts, but yesterday he sent me this distressing photo. I cried. Still, I had the last laugh. Sam supports Bristol City. Hahaha. Now give me my million pound prize!